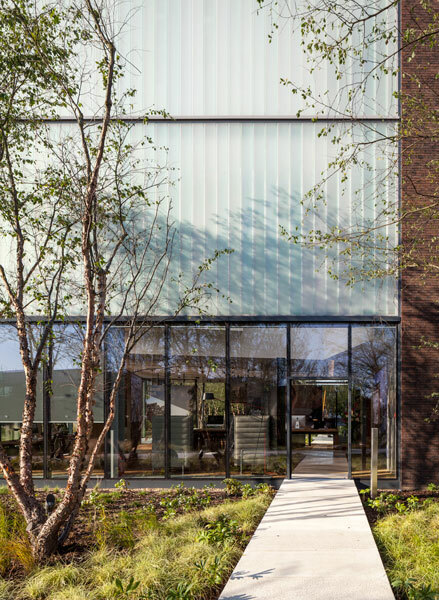 Embassy Gardens Marketing Suite in Nine Elms London by Arup Associates. 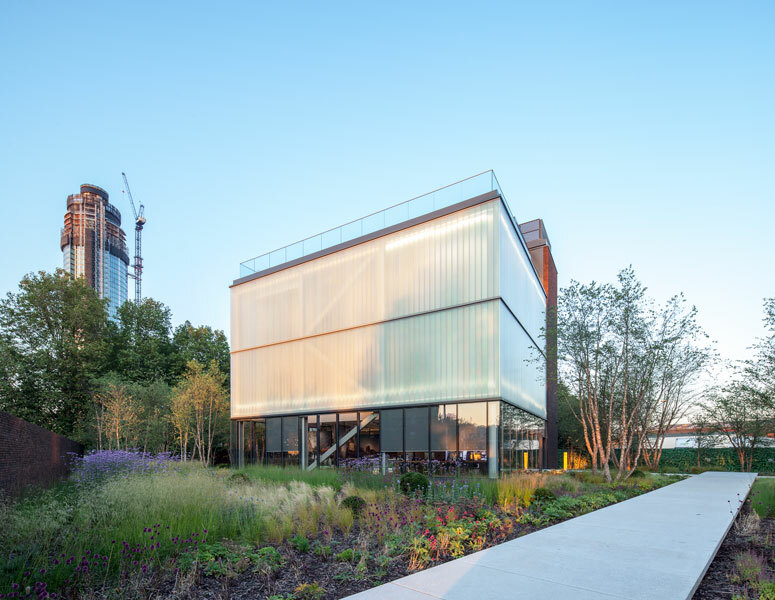 Exterior Architectural Photography of Glass façade. Close up of exterior elevation. 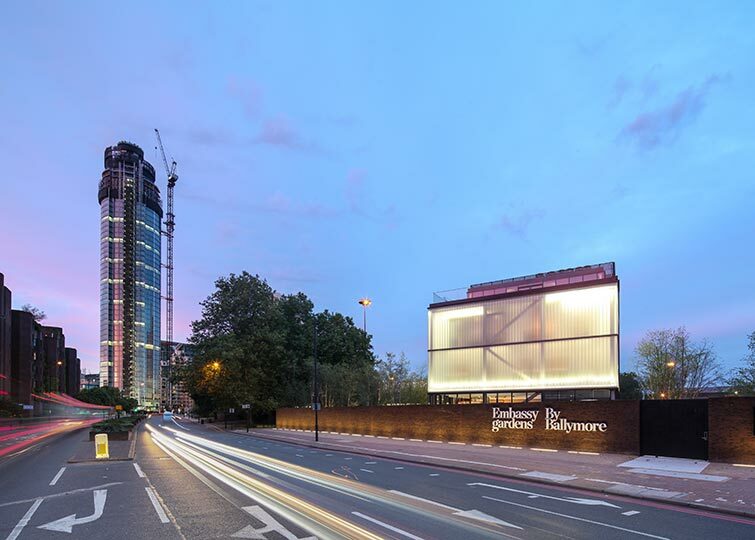 Time-lapse street view photography of Nine Elms and Embassy Gardens. Elevation at night obscured by trees and gardening. Corner detail showing sunlight entering the building. Interior photograph looking up towards a double height space. 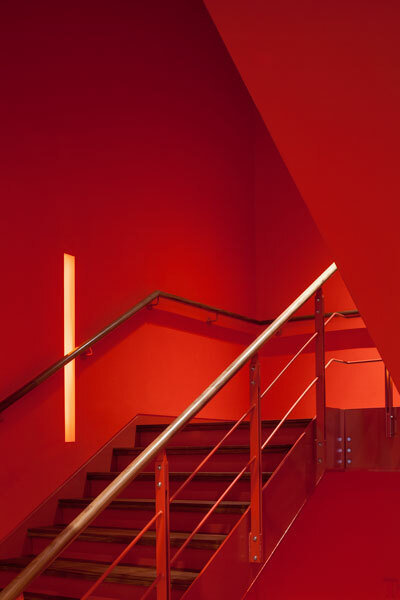 Interior photography of red staircase. Interior ground floor view looking back out through the gardens. 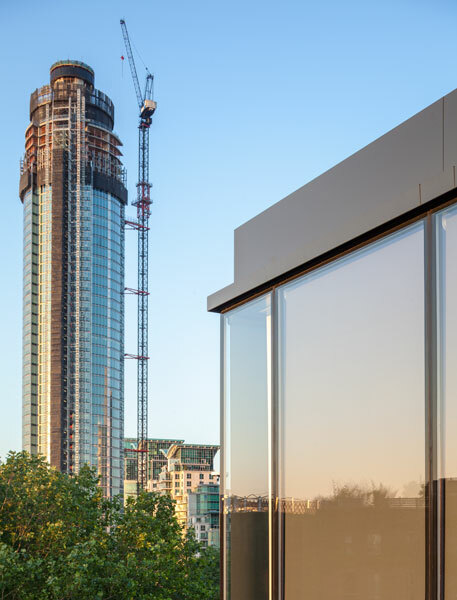 Detail photograph of Roof junction glazing with Nine Elms redevelopment in the near distance. 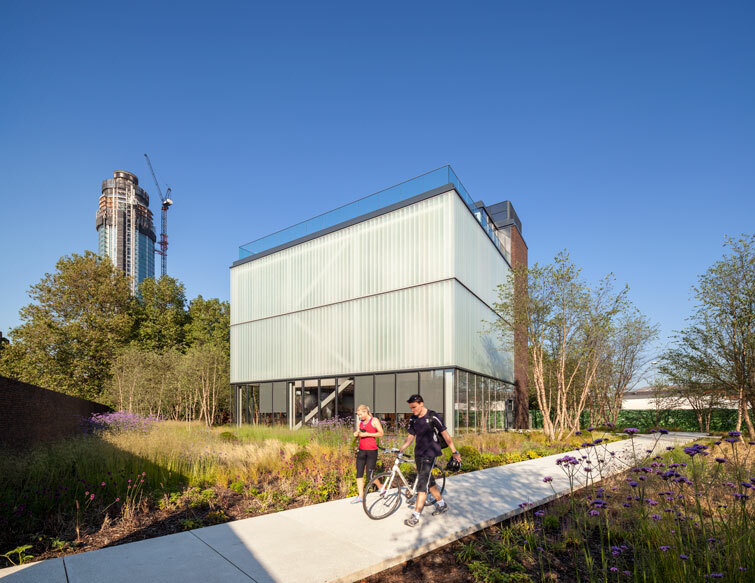 Embassy Gardens Marketing Suite by Arup Associates is the first phase of redevelopment for an area near Nine Elms, London. The Ambassador Building, by Feilden Clegg Bradley is currently on site with the Capital Building by Arup Associates and AHMM is in design development. 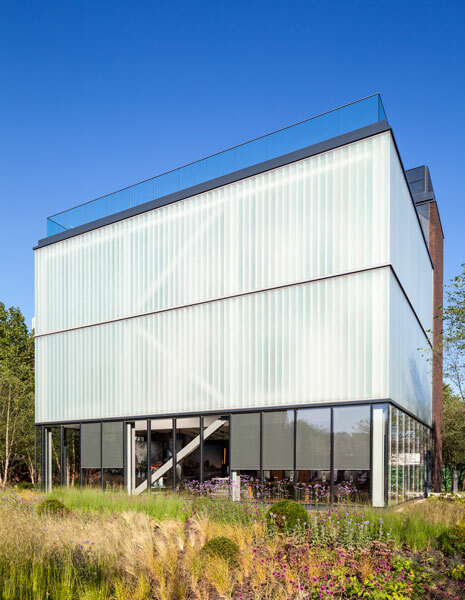 The design developed to create a simple cube within which the apartments are hung – leaving the glass façade free of obstruction. 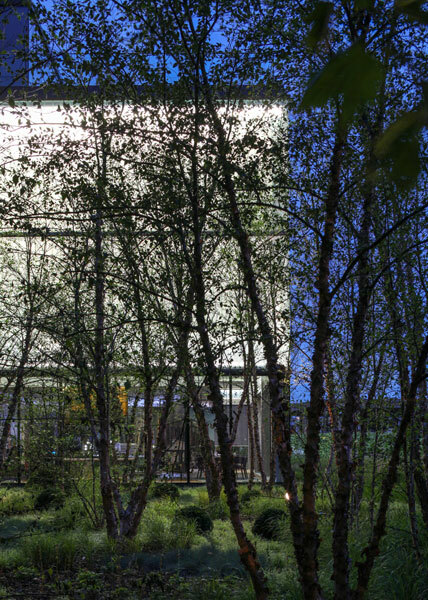 The upper level glazed box acts as a beacon, visible through the trees. 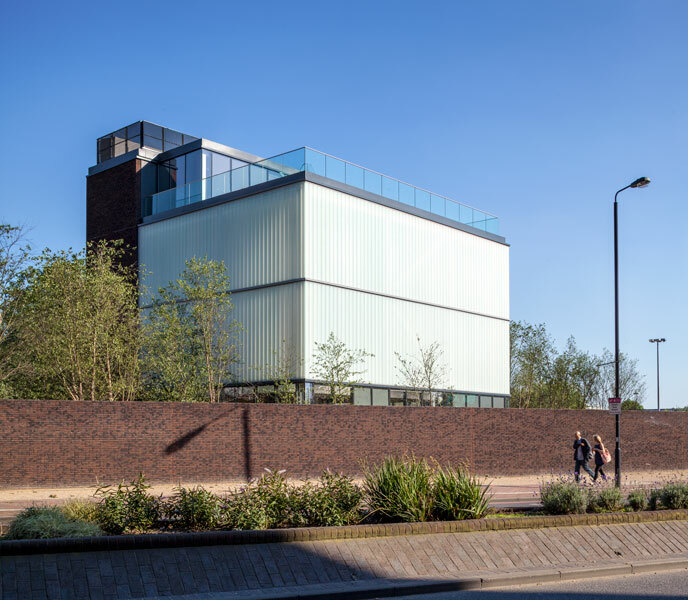 The hanging structure keeps the ground floor column free for an exhibition space. 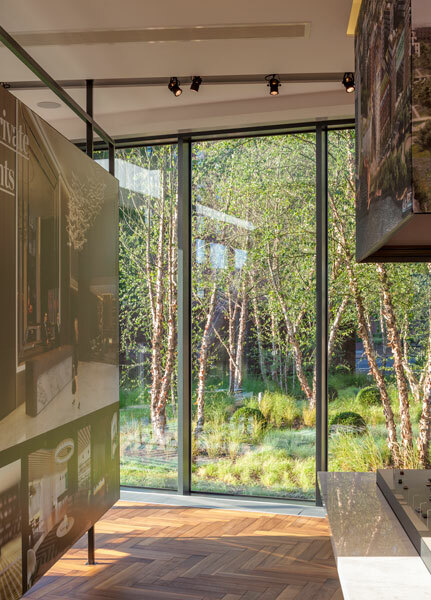 A large door opens to reveal a garden based on an English meadow with a path to the Marketing Suite. 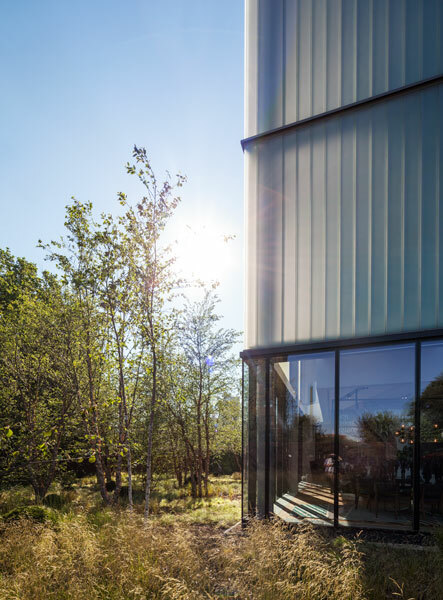 The ground floor is clear glazed providing direct visual links to the Meadow and Woodland. 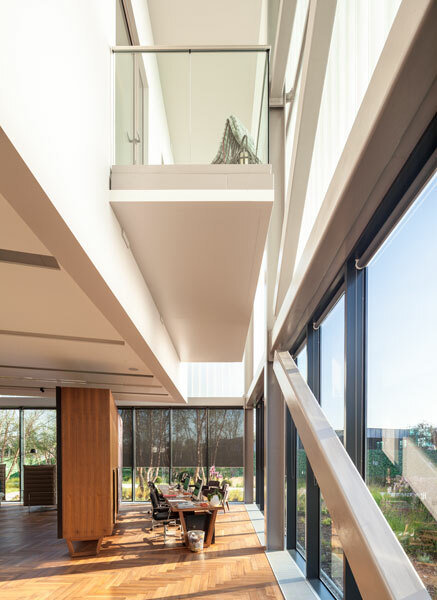 A wide stair takes visitors to the show apartments on the upper levels, and then to a roof terrace with extensive views of the Embassy Gardens site and beyond. Landscaping was by Camlins and apartment interiors by Woods Bagot.